Is “Affiliate Marketing” A Crucified Phrase? 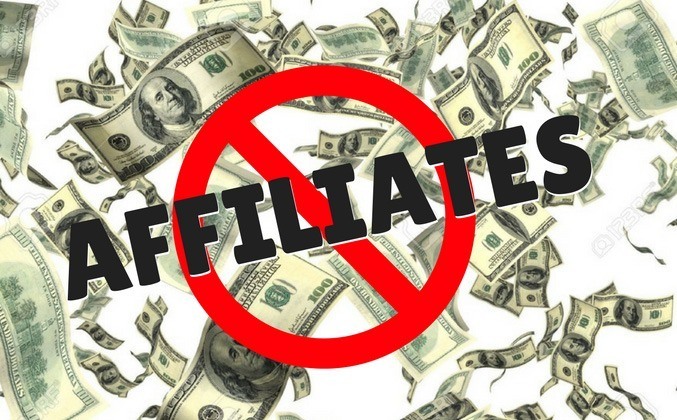 >> Is “Affiliate Marketing” A Crucified Phrase? A lot of niche marketers casually call themselves an "affiliate marketer" while others try to avoid the word affiliate and simply refer to themselves "a blogger" instead. Say "I'm a niche marketer" and people generally don't know what the hell that means. Whereas if you ask your friends what they think an "affiliate marketing" means, most of them will roughly what it is about - promoting something on behalf of a seller in exchange for a commission. Just like "lawyers" are the most respected and the least trusted, there are many good niche affiliate marketers and also as many scam affiliate marketers. The term affiliate marketing is not generally accepted well by network publishers. Email service providers to start with (as I have previously mentioned "Mailchimp and Affiliate Marketing"). Many online social "enhancement mediums" seem to hate the phrase. For instance CoPromote, who provides social media post sharing service, randomly disapproves any posts that appear to indicate affiliates. In fact, I have asked CoPromote why they keep rejecting my posts with regard to niche marketing, or even some posts with no element of affiliate promotions. Their response was, as long as it's not about Get Rich Quick scheme or Earn 6-Figure Income, they review and re-approve my posts. Unfortunately they never have. CoPromote's automatic filtering system seems pretty at random. I have seen many "make 6-figures easy" posts shared within CoPromote - the users can carefully word the title and mask the context to bypass the filter. ​So the crucified area is often defined by these famous phrases; "Get Rich Quick" and "6-Figure so and so". And also MLM. Affiliate marketing has a short history with less than 30 years since the concept was first found. It has blossomed in every direction since, therefore there are many areas yet to be regulated. Affiliate marketers have less responsibility as they own little assets to look after and have no customer care to worry about. ​"Get Rich" and "6-Figures" have been naturally developed by scammers - consciously or unconsciously. And most of the "6-figure system creators" allow their affiliates to do whatever takes to sell. So their affiliates would spam. Try every other social space. Lie. They're used to cat-and-mouse games; when they're banned or rejected, they simply create another account and start again. So if you think you're a "good affiliate", searching for the best interest for your readers, problem solver and you exist to help others, telling others you're in affiliate marketing can cause a confusion. You're an online marketer (covers all)...blogger (can be as broad as a designer or "I have a job").....just a suggestion.